Oppo has collaborated with Marvel India to basically reach out to a greater sphere of young audiences. Marvel's Thor Ragnarok is the most anticipated Hollywood movie of the year and among the several forthcoming movies of 2017. The title has already generated a lot of buzz amongst superhero fans since the launch of its first teaser. As the much-awaited title gears for release on 3rd November 2017, Oppo is offering an exclusive chance for fans to shine like a hero and 'capture the real you'. 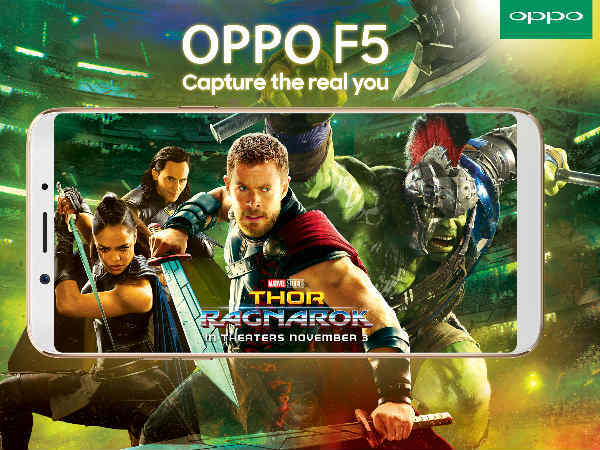 In a unique collaboration, Oppo has yet again associated with Marvel India for the launch its new product, Oppo F5. Oppo F5 is scheduled to be launched in India on November 2 but basically, with the partnership, the Chinese handset maker wants to appeal to the youth with its upcoming smartphone. Meanwhile, Oppo F5 has just been launched in the Philippines. The phone has been designed and loaded with next-generation technologies like its A.I. Smart Beautify feature and also comes with improved design as well high-end cameras. 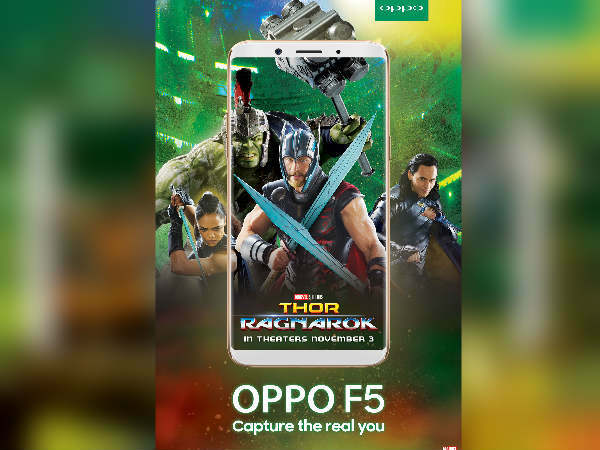 "We at Oppo believe in setting trends and we are sure that our hero product, Oppo F5, and its association with 'Thor: Ragnarok' would be another trendsetter. Associating with brands like Marvel and Disney brings our team immense pleasure and we hope that our collaboration helps us in reaching out to a greater sphere of young audiences," said Mr. Will Yang, Brand Director, Oppo. Marvel's Thor has a huge and growing fan base in India and Oppo products are enjoyed by almost 200 million young consumers globally. 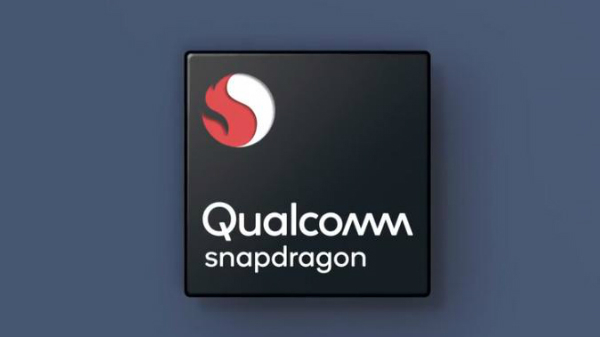 For this partnership, Oppo, the Selfie Expert will be launching many other campaigns to promote its latest product, Oppo F5, and create a spur amongst the Indian youth.